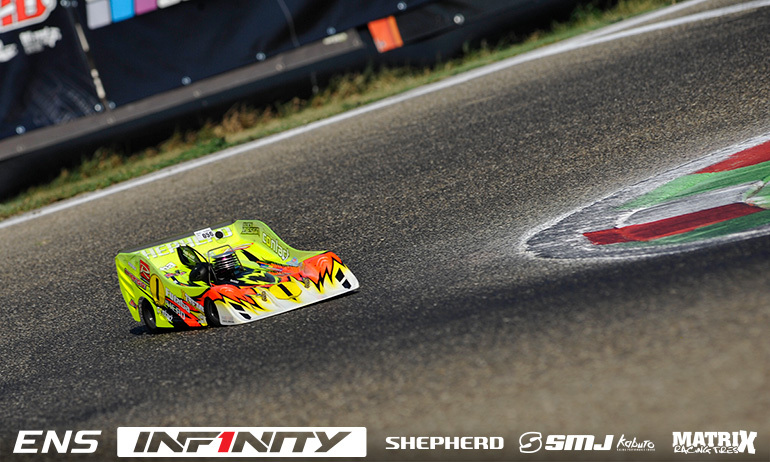 Simon Kurzbuch has taken the opening round of qualifying at the ENS Season Finale in Italy this evening. The reigning champion just 1/10th faster than title challenger Dario Balestri at the end of the 4-minutes as the pair took advantage of ideal conditions to post 17-lap runs. Behind, just missing out on 17-laps, Carmine Raiola ran the third fastest time ahead of Robert Pietsch, Silvio Hächler and Alberto Picco. For Toni Gruber, the third of the drivers who could potentially be crowned champion come Sunday evening, a disappointing practice didn’t get any better as he was forced to retire half way into the first of the four qualifiers with ‘a problem with the electrics’. ‘It was a good round. The beginning was really fast but then I had to overtake a few people so I was happy to end up first’, was Kurzbuch reaction after his TQ run. Vying for his third consecutive ENS title, the 2015 World Champion added, ‘conditions were really good now so I hope it will be the fastest TQ of the weekend’. Very happy with his car’s performance despite Balestri registering the fastest lap, the Swiss ace, ‘the car worked great so I will just try to do the same again in the next one’. Looking much happier than in practice, having had to recover from his car being destroyed in yesterday’s practice, Balestri said, ‘It was OK. 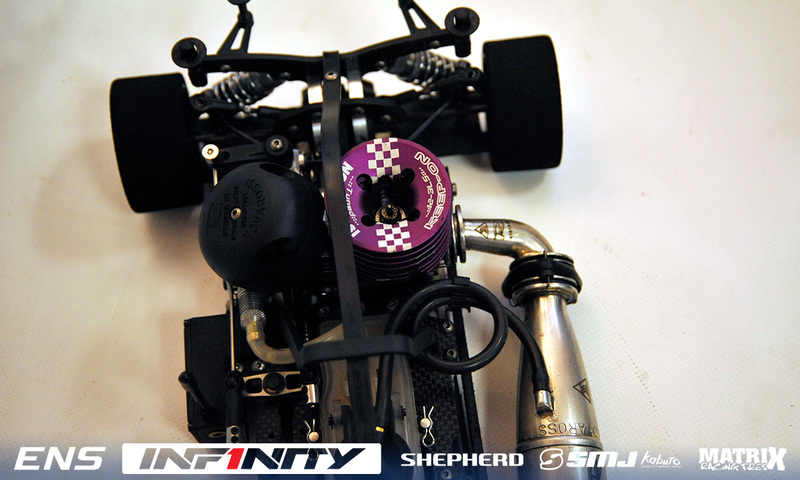 It (the engine) was a little rich on the bottom at the start of the qualifier but then it went clean and I could push’. The World Champion added, ‘it was just a little bit (rich) but it’s ok. We will see what we can do tomorrow but now we have the car to race with Simon’. 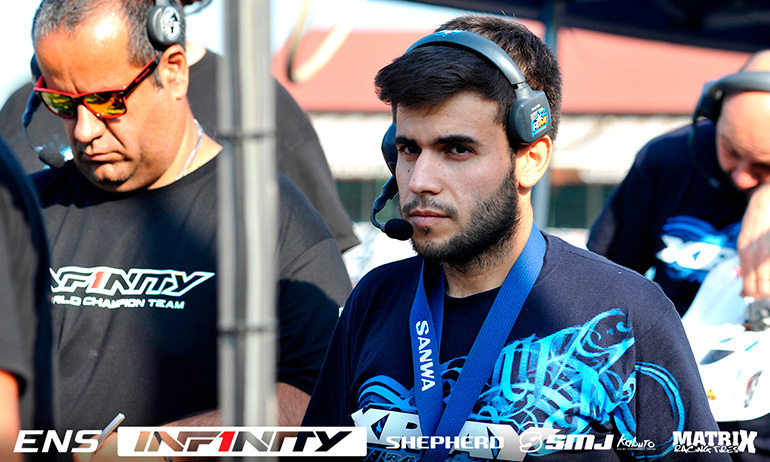 Commenting on his first heat, Carmine said, ‘I drove to keep 3rd place. Tomorrow we will try to push. I didn’t push 100%’. The Italian said he adapted the safe approach after trying to pass a slightly slower car. He said, ‘I had a car in front of me which I try to pass but he closed on me so I just drove to keep 3rd’. Describing his Infinity as ‘good’, the World’s finalists plans to keep it the same for Q2 adding ‘we will be on used tyres for the next one so the car should be even better’. 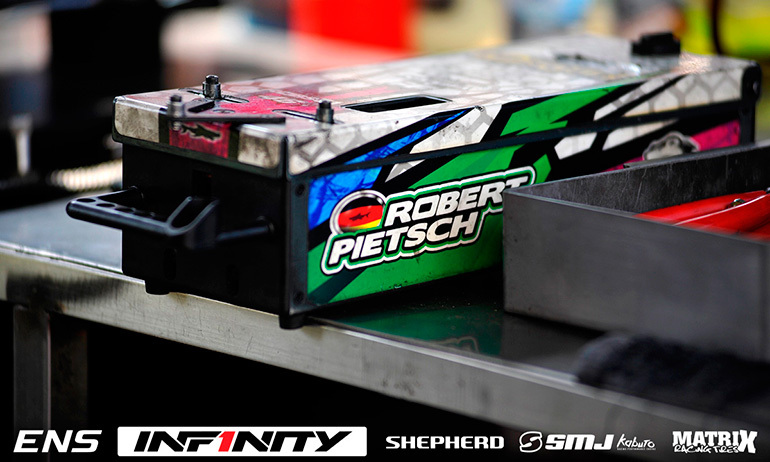 Pietsch was not happy with the driving standards having a similar issue to Carmine. Asked how was the qualifier, the Mugen designer replied, ‘Pretty bad I would say’ continuing ‘I was stuck behind another car that didn’t let me by even when he made a mistake. I am not happy about this’. He added, ‘everything with the car was ok but when the car in front is 0.1 slower for sure you can’t overtake unless they let you pass and this cost me about 2-seconds over the qualifier’. In the 1:8 40+ class, the title already decided at the previous round, it was inaugural champion Arie Manten who took the opening qualifier. 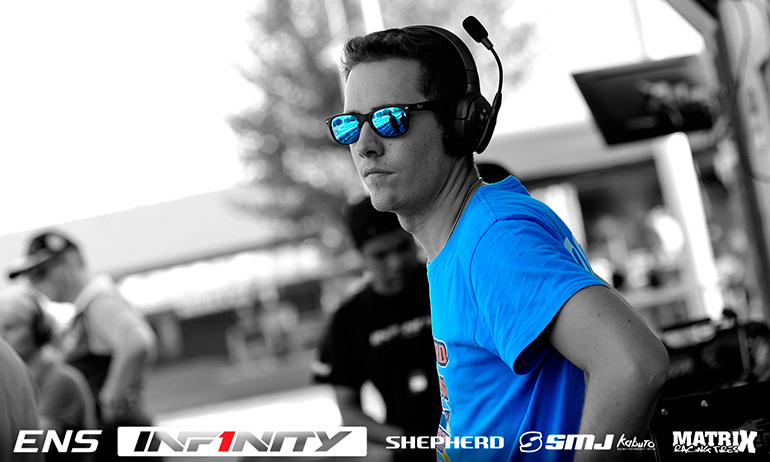 Going for the perfect season by looking to add a fourth win this weekend from as many races, the Infinity driver took Q1 ahead of Andrea Hächler, father of Silvio, and Rudi Scherer. 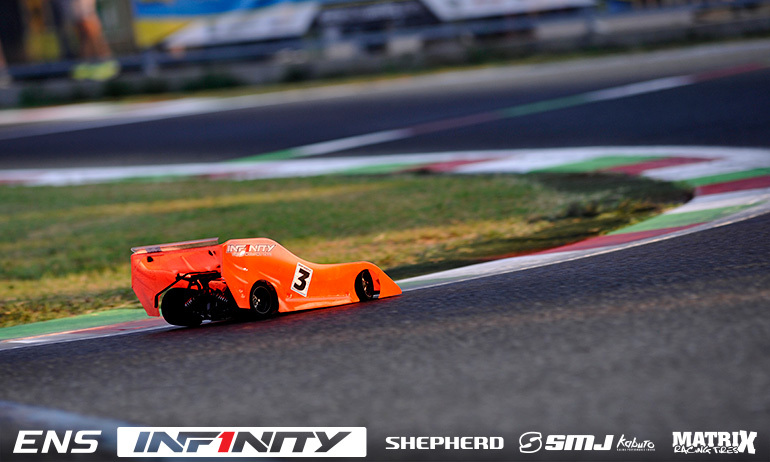 There was no surprise in the opening 1:10 qualifier at the Infinity Euro Nitro Series in Italy as Dominic Greiner topped the times. 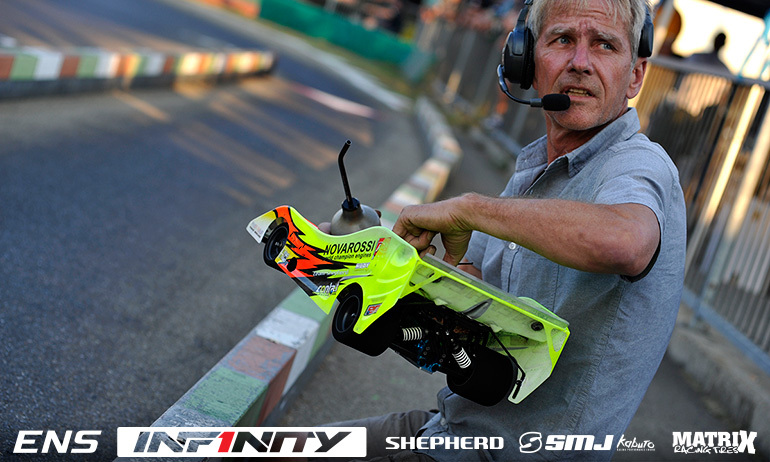 A driver who needs to TQ & win this weekend to have a shot at clinching his first ever ENS title, the German’s Serpent was fastest over the 4-minutes by just under a second from Alessio Mazzeo, the Xray driver hampered by a gearbox issue. 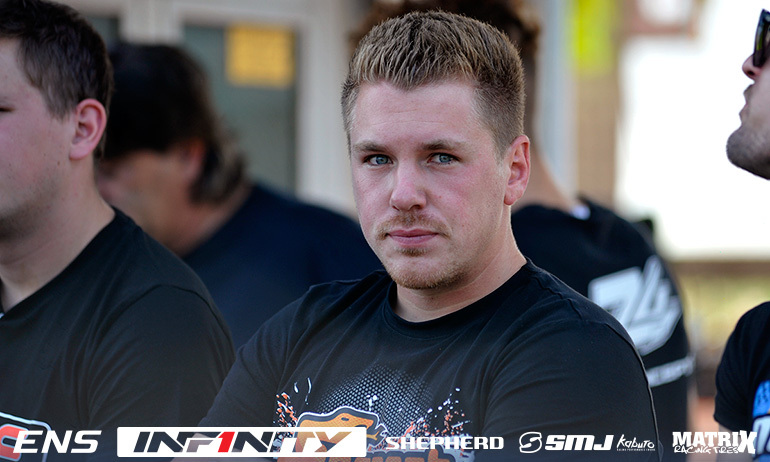 The driver Greiner is hoping to deny the title, Jilles Groskamp would open the four rounds of qualifying with the third fastest time ahead of Infinity team-mates Teemu Leino, Francesco Tironi and Andy Moore. ‘It was very close’, was how a somewhat disappointed Greiner summed up Q1. The World Champion continued, ‘the car feels very good but maybe the engine was not that good. I found a broken gasket on the pipe so I will fix that for tomorrow’. Setting the fastest lap of the Fiorano track where he has a successful track record, he said, ‘I’m very happy with the consistency of the new car and my driving but it could have been faster without the engine problem.’ Needing the bonus championship point on offer for the TQ, he concluded, ‘I need that TQ point for the overall championship’. Mazzeo said, ‘I suffered a little from a bad gearbox set-up. It was changing too late and I made 2-mistakes that cost me a little time. The rest was fine’. Winner of the race in 2015, the Italian continued, ‘for sure it will be a hard fight with Dominic. On this track he has always been faster than me but it is closer now’. Looking to the continuation of qualifying in the morning he said, ‘we will just adjust the gearbox for tomorrow and we will be ready for the fight’. ‘I knew it was going to be hard to go faster than Dominic but I’m happy with third’, was Groskamp’s reaction after Q1. Winner in the Netherlands and Austria this season, the 2015 Champion said, ‘the track got a little more traction now and the gap got bigger to Dominic. On a faster track we lose more time so we need to change something for tomorrow. The gap is 1/10th a lap which is not much but we need to close that and the higher I can start on the grid the easier the find will be’. Leino was content with his first qualifier despite an early mistake. The Finn said, ‘on the first lap I missed the chicane and went over the grass and it was game over (in terms of a TQ run)’. The European Champion continued, ‘the car was good so I know we can do better in the next one. We will just refresh the bearings and everything for tomorrow’. 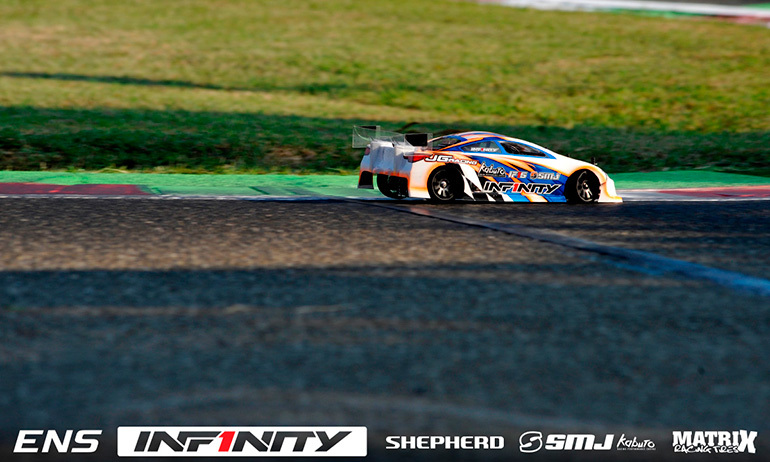 Dominic Greiner and Simon Kurzbuch are the top seeds for qualifying at the season finale of the Infinity Euro Nitro Series after they topped the two rounds of controlled practice at Fiorano. Fastest in free practice, Greiner repeated the feat in the seeding runs but with a significantly slower time over the 3-consecutive laps. 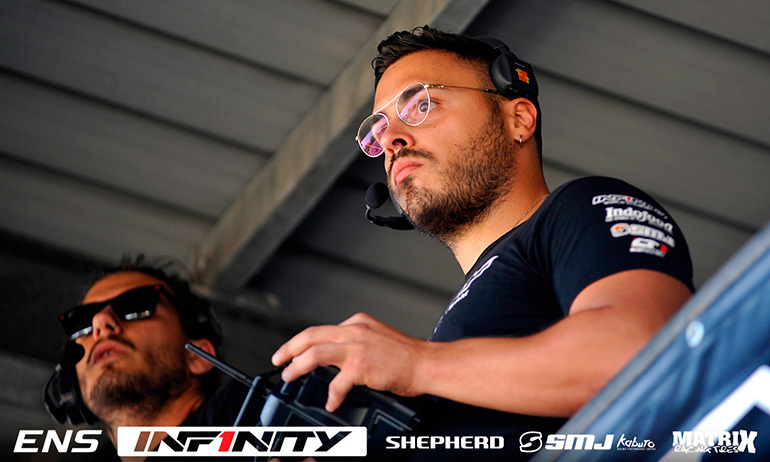 Having had a 6/10th advantage, his rivals closed the gap in controlled practice with the Xray of Alessio Mazzeo going second fastest only 1/10th off the Serpent driver. 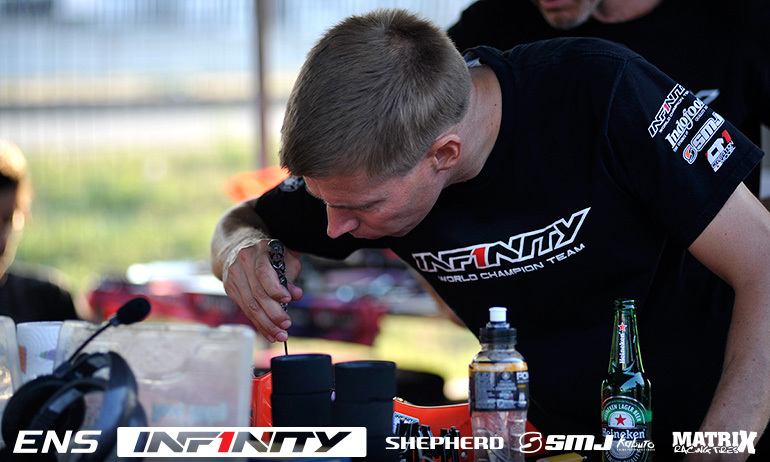 Infinity’s Teemu Leino completed the Top 3 with Eric Dankel’s Mugen making it four different manufacturers in the mix at the front. Championship leader Jilles Groskamp was next up with the fifth fastest time. Fourth fastest in free practice Kurzbuch put his Shepherd top of the times ahead of Carmine Raiola, the Infinity driver fastest in CP1. Controlled practice would also see Kurzbuch’s main title rival Dario Balestri move up with the Infinity driver completing the Top 3 ahead of free practice pace setter Robert Pietsch. For the third of the potential champions, Toni Gruber, practice ended with the WRC driver dropping to seventh quickest. Chasing a hat trick of ENS wins at Fiorano, Greiner summed up his controlled practice runs as ‘so, so’. The German added, ‘we tried a few things on the car and it was nothing better so we will go back to when the car was fastest in free practice. We must leave with this, it is not a problem though because the car is very good’. Mazzeo who could influence the championship outcome by winning or finishing in between Greiner and Groskamp was pleased with his pace in controlled practice saying, ‘2nd behind Dominic is really good. I’m happy with everything’. Trying a different diff in the final practice, the Italian said, ‘It was good to go back to what we had before for Q1’. An upbeat Groskamp summed up the completion of practice by saying, ‘It was super close, especially in the second run. I was 3/10ths off in the first one but now I am 3/100ths. 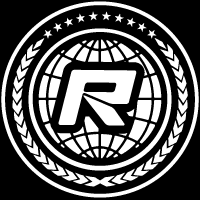 I’m very happy to be close now and with tis package we can fight for sure. We found steering. It still is not enough but I won’t change for the first qualifier and will just go for a clean run’. Kurzbuch was happy to be back at the top of the time sheets explaining he had an issue with second gear changing too late in CP1. The Swiss ace said, ‘we fit a new second gear for the second one and got the adjustment 95% right so we should have it perfect for Q1’. In terms of his car set-up, he said, ‘I could use a bit more front grip but I think this is the same for everyone’. Confident for qualifying, the opening round taking place this evening he did express concern over traffic saying, ‘with 11 cars in the heat I hope there is not too much traffic and everyone gives each other room’. Balestri summed up his improvement with ‘we are on the way’. The Italian, who is twice Top Qualifier in Fiorano but yet to take a 1:8 win, said, ‘we are still trying to get the same speed as before. The track and tyres changed again from free practice. I had understeering before and now we’re working to get more corner speed but we are going in the right direction’. Gruber put his P7 time down to not getting three good laps together, the WRC driver adding, ‘the car is good and it’s ready for qualifying’. 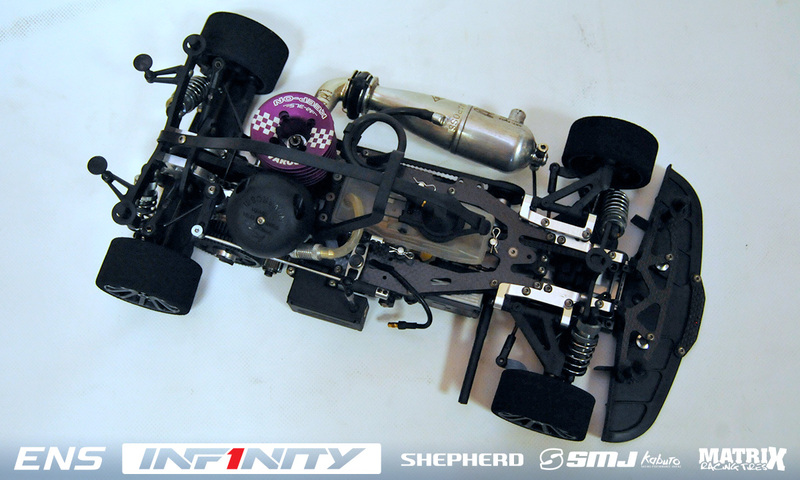 Remarks – Dominic is running the preproduction version of Serpent’s new 750 with the World Champion’s praise for the new car reflected in his early pace. Key differences compared to its predecessor include different rear suspension which has a new geometry, new aluminium bulkheads and new closed wishbones. 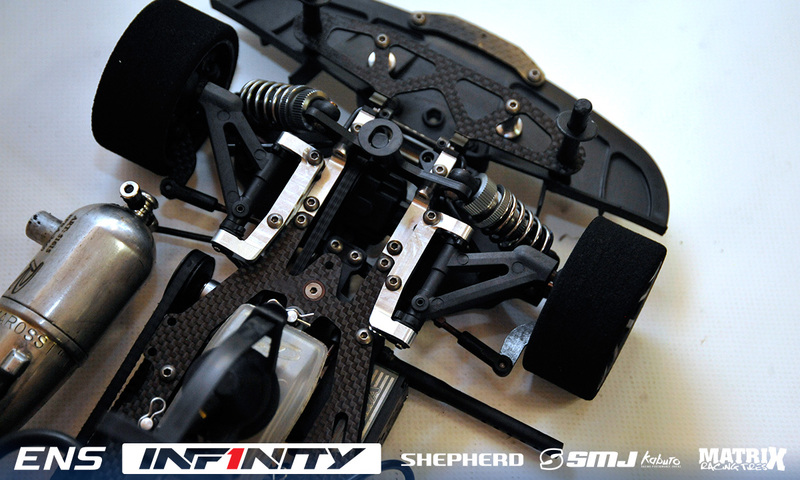 The new wishbones allow for quick switching between a carbon or plastic insert to adjust the arm flex. 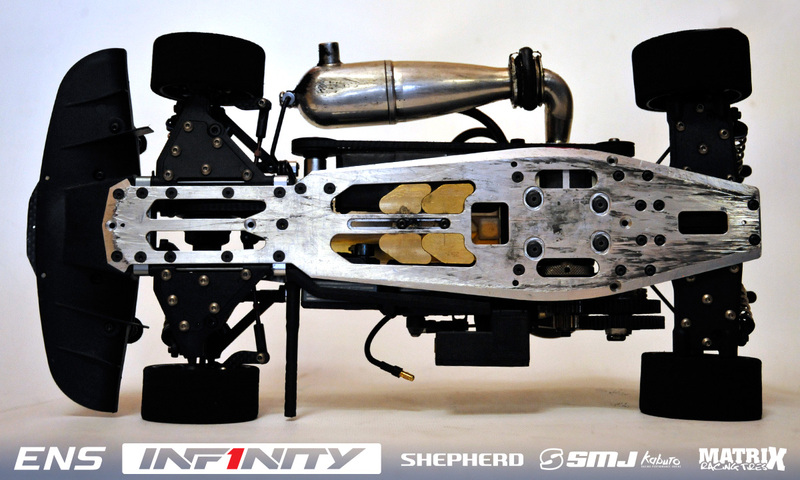 The car’s flex is also influenced by a new design radio plate and chassis. Also on the car is a new aero front bumper and rear diffusor. 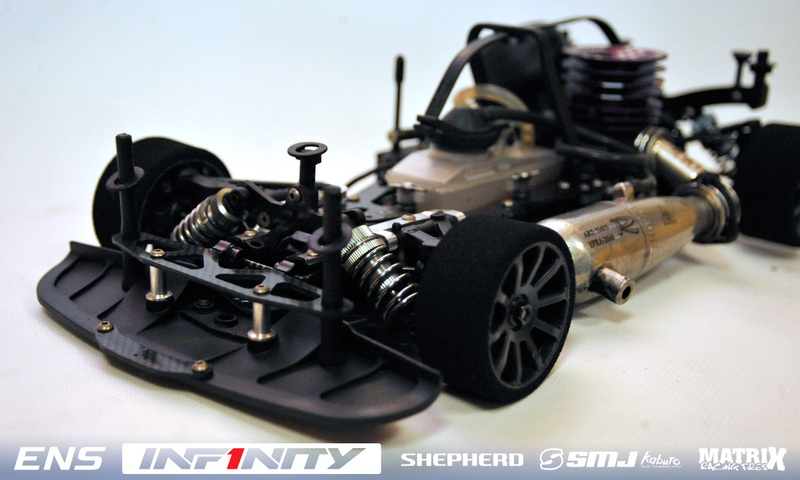 While the car features some silver parts, the final kit with be all black finish with kits set to be available prior to the Worlds next month, the recent storms in Hong Kong delaying final production slightly. Asked the main characteristic differences between the old and the new car he said, ‘it’s more stable and easier to drive which means you can push even more’. 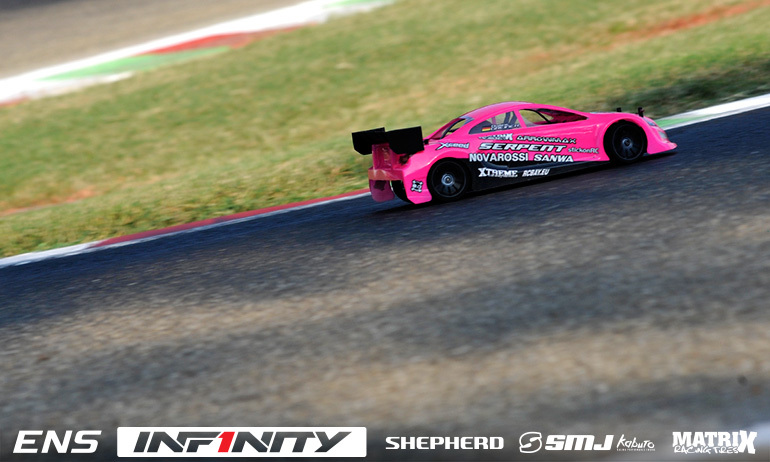 At the end of free practice at the Infinity Euro Nitro Series Season Finale in Fiorano, Italy, it is Dominic Greiner and Robert Pietsch who head the times. 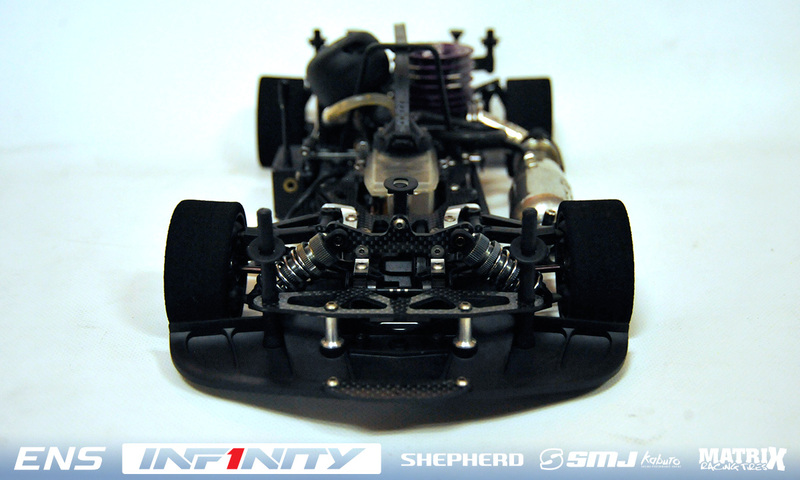 Running Serpent’s new 750 chassis, Greiner topped the times from the Infinity of new European Champion Teemu Leino. 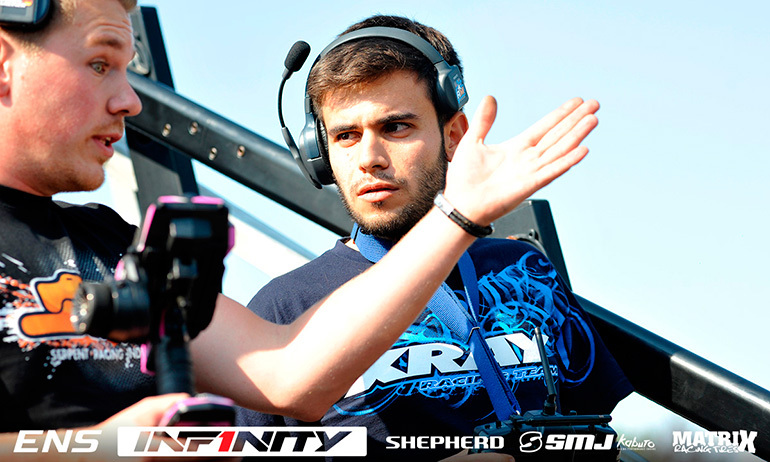 Former Fiorano winner Alessio Mazzeo was third quickest over 3-consecutive laps with his Xray. 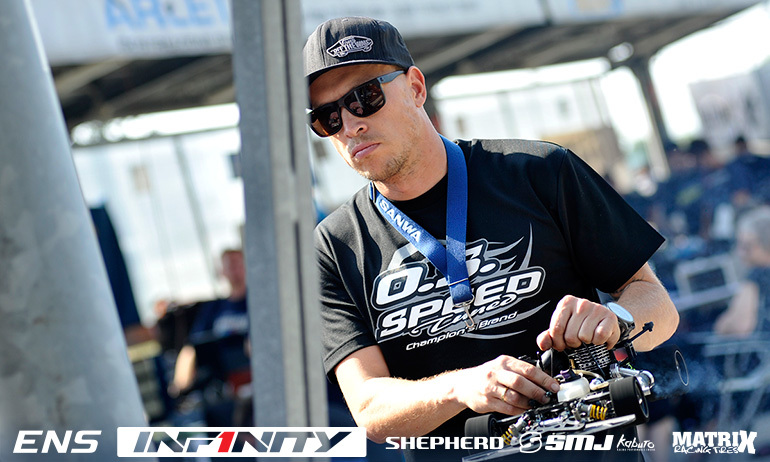 1:10 Championship leader Jilles Groskamp, who can only be denied his second ENS title by Greiner, would set the fourth fastest time. In 1:8, Pietsch’s Mugen was just 0.006 quicker than Infinity’s Carmine Raiola with Toni Gruber quickest of the title contenders in 3rd. Points leader Simon Kurzbuch was behind him in fourth while Dario Balestri found himself down in P11. 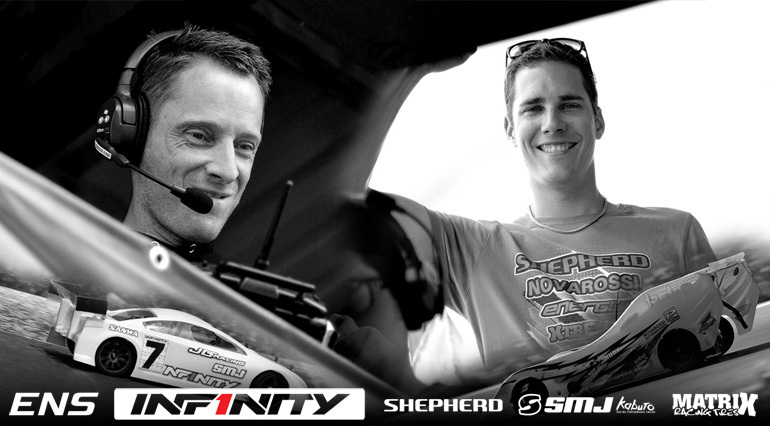 Summing up the 10 rounds of free practice held over the last two days, Greiner said, ‘It’s all going pretty good. So far the new car works really good. 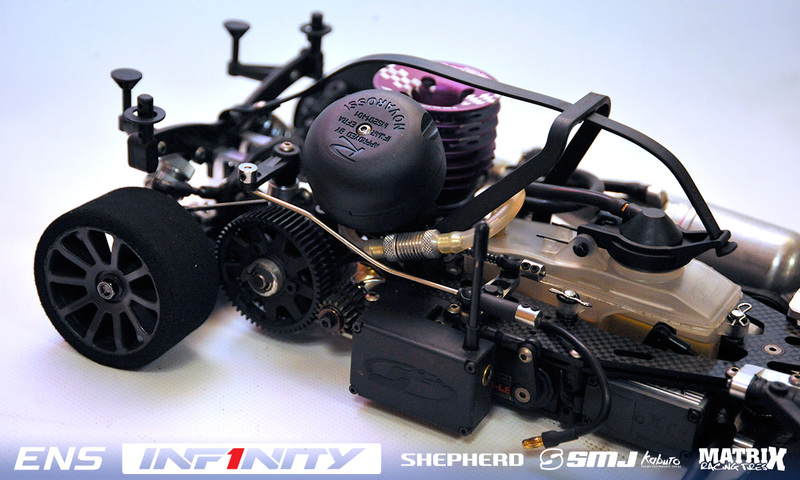 We have tried many engines and we have everything ready to go racing’. With two rounds of controlled practice to decide the order for the heats, Groskamp said, ‘The car has been ok. We are mainly competitive when it’s warm. For when it is cooler we have to find some pace and we have to understand why. 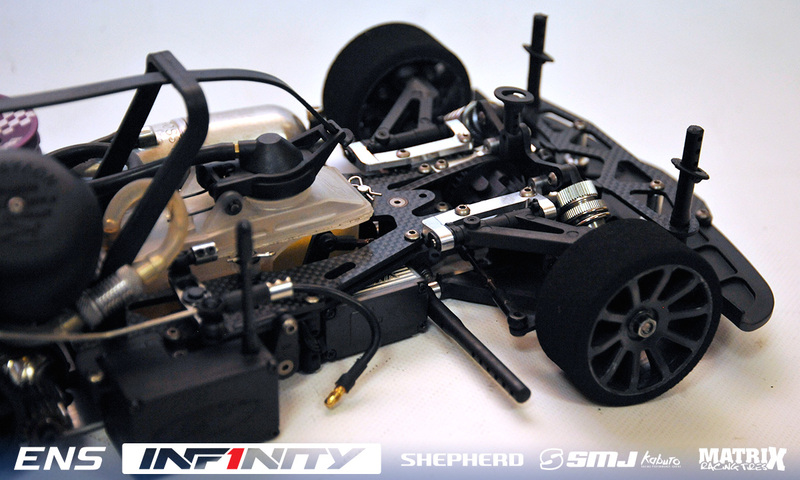 The only double winner this Season, the Infinity driver added, ‘It is not easy to get at the same pace as Dominic. 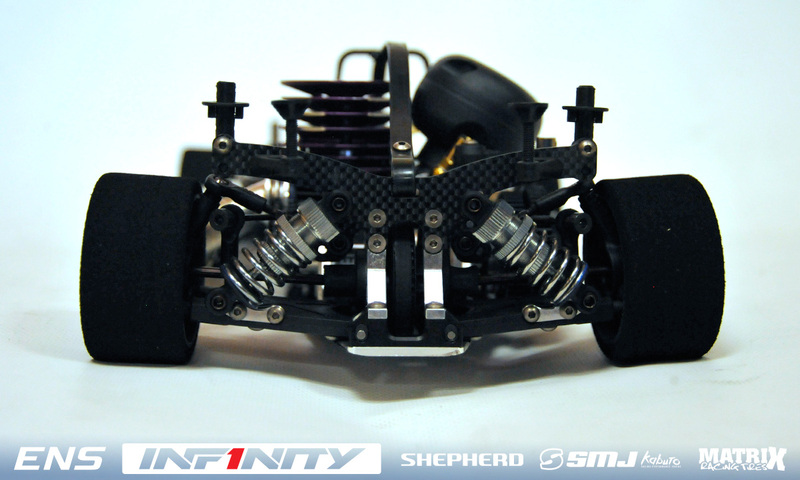 We are looking for more steering without losing the rear’. Pietsch described free practice as having gone ‘good’ and running his ‘normal package’. He declared himself happy with his pace both over the 3-laps & over longer runs adding he is ‘confident for qualifying’. On car set-up, the Mugen driver said, ‘it was very good at the beginning but then the traction changed and I lost steering so we had to go searching for more steering but we found it again’. Best of the title contenders. Gruber said, ‘yesterday we had a good practice but today we have had a few problems’. Running tyres from the previous ENS encounter yesterday he said his WRC was very good but today on new tyres the car feels different and they also experience an issue with rear rims rubbing on the suspension. Finding a solution to the issue, he concluded, ‘It has not been the best start but we are now on a good way’. Going for his fourth consecutive Fiorano win, Kurzbuch said it was ‘good to test again’ and the Shepherd driver declared ‘everything should be fine for qualifying’. Unfortunately for Balestri, an early incident yesterday destroyed his race car. The World Champion said, ‘I had a big crash yesterday when a car came from opposite side of the track and destroyed my car. Now we are working on trying to get back up to speed’.